Two days ago, 24.6.2014 we launched an SMS campaign in Slovakia, which goal was to engage current iPhone owners via SMS (text message), to come to our website, register and get to know what is Turbado. When the customer clicked on the link, it took him to our page, where he entered his data: First name and last name, Address, postal code, city, phone number, email address and the model of iOS device he owns currently (drop down menu: iPhone 3G/3GS, iPhone 4, iPhone 4S, iPhone 5, iPhone 5s, iPod, iPad). After the order received, we shipped out the same day or next business day a free charger with Turbado logo and a brochure to introduce our company. In total over 25000 SMS were sent out, first day 13000 and second day 12000 of which 3555 unique visitors came to our website and 807 of them registered on our website and we shipped out 796 chargers. in % it is over 14% click-through rate and 3.2% conversion rate from total SMS or 22.7% conversion from visitors. SMS is a tool, that gets out your offer to a target group of users and has a high number of views, as most of the people first read the message, then deletes/ignores it, or acts on it. When we were making our predictions, we expected a 40% click through rate and above 15% conversion rate from those who came to our website. So in one number we were disappointed, the click through rate instead of 40% was only 14%. The conversion rate was slightly higher than expected. The registration window will be open for another 2 days, so these numbers should grow a bit, but not significantly. 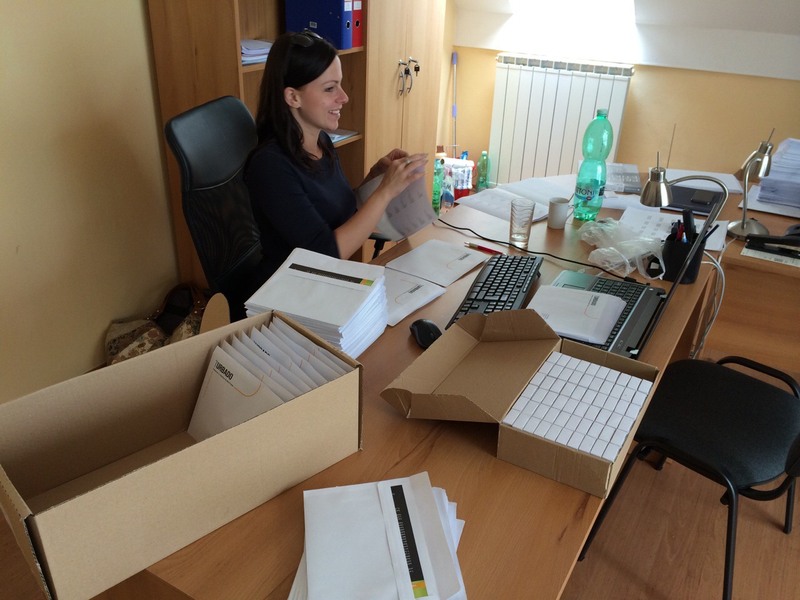 2) Our colleague Janka sticking those labels to those almost 800 envelopes with our brochure and a free charger. 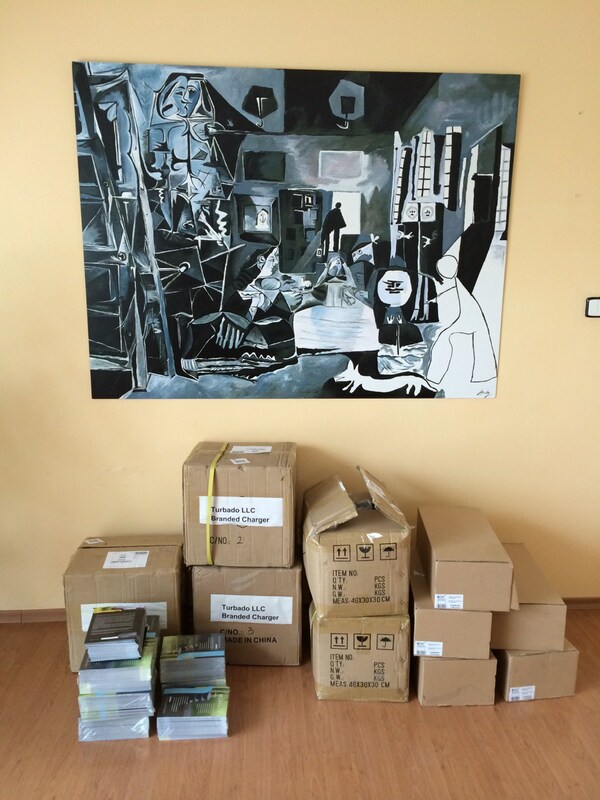 3) Turbado.sk’s office in Presov, Slovakia, is proud to present a hand painted replica of Pablo Picasso’s Las Meninas, which I saw with Andrej Vargecko (manager of Turbado.sk) in Barcelona and we both liked it so much, that we had to have it painted for us and look at it while at the office. 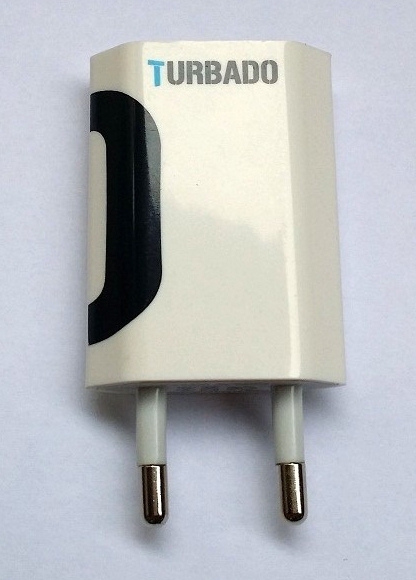 4) And this is what the customers get: Turbado labeled USB charger, with IC protection, each charger tested manually in China up to 3000 Volts and each charger passing the test. High quality product, with output 5V and 1A (+-1%), it is the kind of a product you can use for many years to come = Turbado quality in action, with next business day exchange if it fails you. Even if you got it free, we stand by it with our Turbado warranty.